Gum disease is not only uncomfortable and worrisome — it can lead to serious issues if left untreated. Here’s how to recognize the symptoms of gum disease, how to prevent it, and what happens if it’s left to advance on its own. There are quite a few different symptoms of gum disease. Keep in mind that you don’t have to suffer from all of these symptoms — you can have just a few and be affected. Untreated gum disease, also known as gingivitis, can lead to a condition called periodontitis. Periodontitis means inflammation around the tooth, including the gums and the bone structure that cradles the tooth itself. Periodontitis causes the gums to pull away from the teeth, forming pockets of space, that become infected. As the body responds to this bacterial attack, the bone and connective tissues are broken down by the body’s natural immune response. Over time, these tissues are destroyed, and the teeth may become loose, fall out, or need removal. It’s also possible that chronic gum disease can have an effect on the rest of your body, as studies have suggested it can contribute to heart disease or diabetes. Other studies have shown that pregnant women with gum disease may be at more risk of going into premature labor. 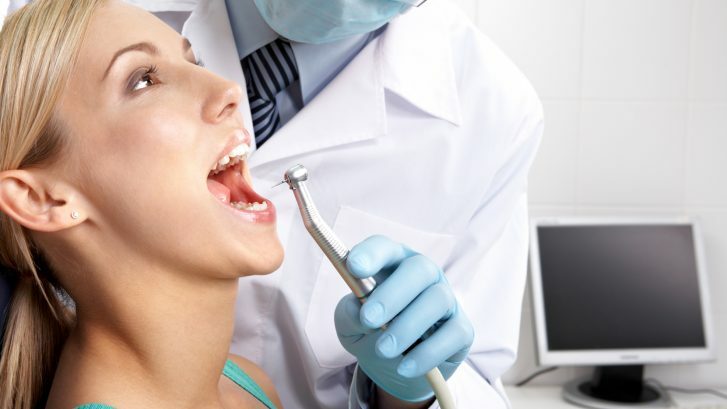 Of course, we’d all like to avoid getting to that point, so how can you keep gum disease at bay? Here are a few tips that will help you avoid serious dental problems. Brush your teeth. While brushing your teeth seems like a simple act, it’s extremely important in preventing gum disease. Brushing after each meal helps remove food as well as plaque that may be trapped between your teeth and your gums. Brush your tongue as well, as bacteria likes to get cozy up there. Floss. In addition to brushing, regular flossing can help cut down on gum disease. Try to do it at least once a day, as it will help clear up food debris and plaque that your toothbrush can’t quite reach. Use mouthwash. Another way to combat food and plaque is to swish with mouthwash after flossing and brushing. Mouthwash can reach even further into places that brushing, and even flossing, can’t reach. Know your personal risk factors. There are a few factors that can up your chances of developing gum disease. Smoking, diabetes, some medications (specifically those that can reduce the amount of saliva), genetics, and other illnesses and treatments, such as AIDS and cancer. Also, the older you are, the greater your chances are. Knowing your risk factors can help you keep a sharp eye on your gums and teeth. See your dentist. In addition to these other daily habits, visit your dentist regularly. If the dentist suspects you are exhibiting signs of potential gum disease, they will refer you to a periodontist, or gum specialist, for a comprehensive periodontal evaluation. They will be able to identify changes in your gums that can lead to early treatment. While gum disease can be painful, frightening and life-altering, there are a few things you can do to keep your gums healthy. And remember, at the first sign of potential gum disease, see your dentist or a periodontist right away.